Stockholm is a summer city; its leafy parks, rocky beaches, and swathes of Baltic water that swirl around the city’s 14 islands all seem to have been designed for long summer days where the sky barely darkens. 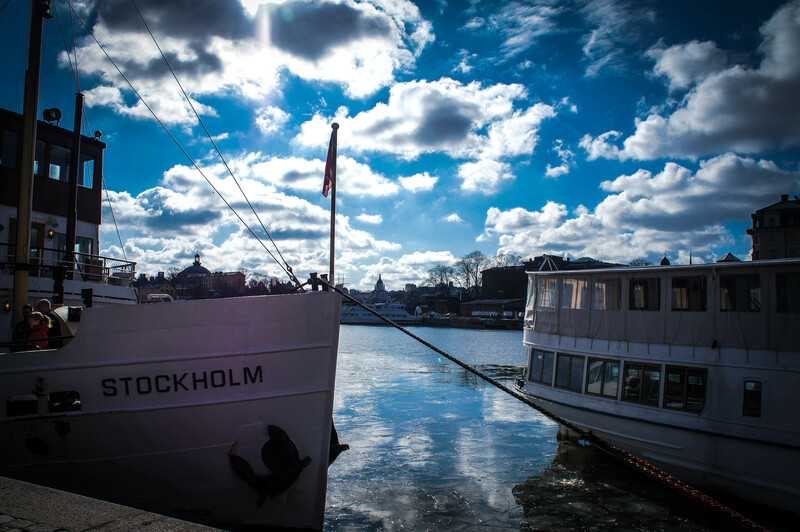 Emerging from a long winter slumber the city awakens with the first signs of spring, and by summer Stockholm has joined the party, becoming one of Europe’s most enjoyable cities. Despite its location so far North, Sweden can enjoy long warm summers and Swedes don’t need much encouragement to head to the nearest park in their bikinis (or just underwear if the sun is unexpected). The weather is often best during June and July, and there are plenty of ways to enjoy the sunshine. Many city guides recommend a walk around Gamla Stan (Old Town), but if you want to take the less travelled route you could view the city from a different perspective – up on the roof. An hour-long tour takes you on a walk around a building in Riddarholmen, where you can look down upon the most iconic church of the Old Town. It’s pricy (as everything in Stockholm is) but you get a knowledgeable guide, and all the safety equipment, so in my view it is worth the money. Check out my video of the walk below. 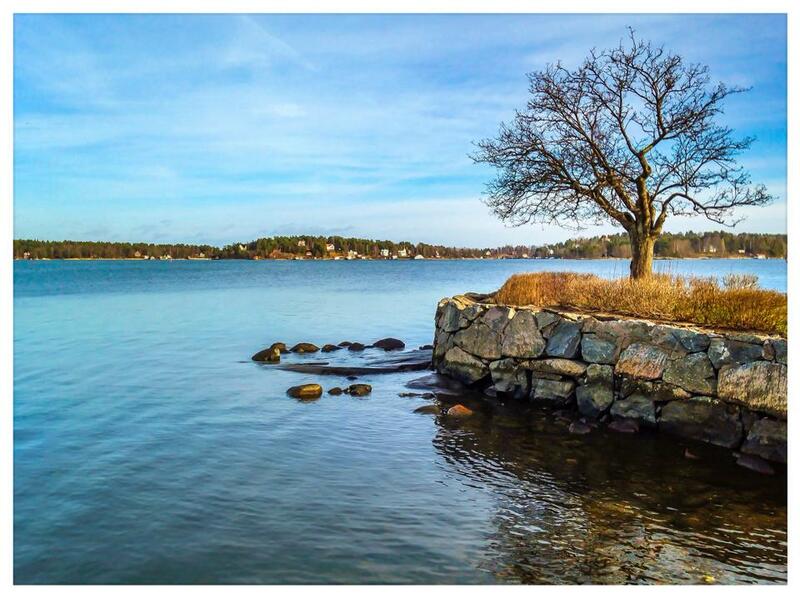 Looking out over the archipelago from Vaxholm. With thousands of islands comprising the Stockholm archipelago there is no shortage of places to visit. You can go to an island relatively close to the city, such as Vaxholm, which is accessible by boat or bus and takes around an hour, or you can go further afield if you want a longer boat ride. Take a picnic, bikini, sun cream, a pair of sturdy shoes if you want to walk, and a good book. You won’t want to leave at the end of the day. If you really don’t want to leave, then take advantage of the Swedish law allemansrätten, which allows the public the right to camp anywhere—just remember to clean up after yourself! If you want to explore the archipelago without leaving the boat then a brunch buffet boat ride is a great idea. This way you can spend a few hours floating around the islands while eating a smorgasbord of traditional Swedish dishes. 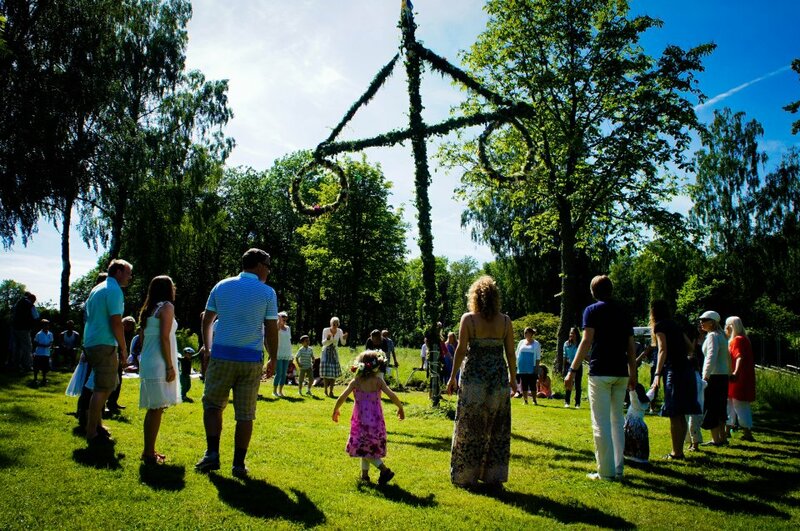 Midsummer is huge in Sweden, I mean huge. In fact, I think that many Swedes only drag themselves out of winter hibernation for this one day of the year. 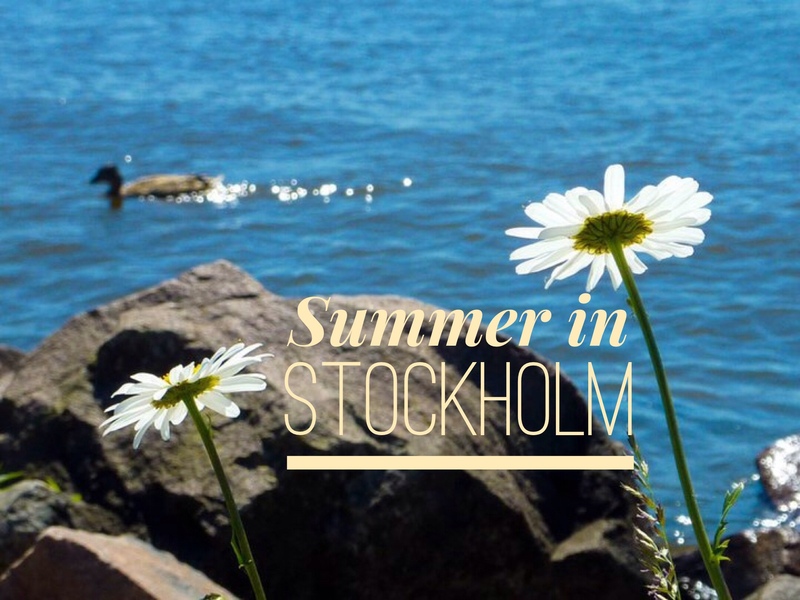 Most Stockholmites spend their Midsummer celebrations in the family summer house, so expect Stockholm to be left with bewildered tourists for this day, most of whom head to Skansen to see what the rest of the country is doing out in the countryside. It may be the tourist version of Midsummer, but it is still a great way to spend the day. The taste of Stockholm food festival at Kungstradgården. 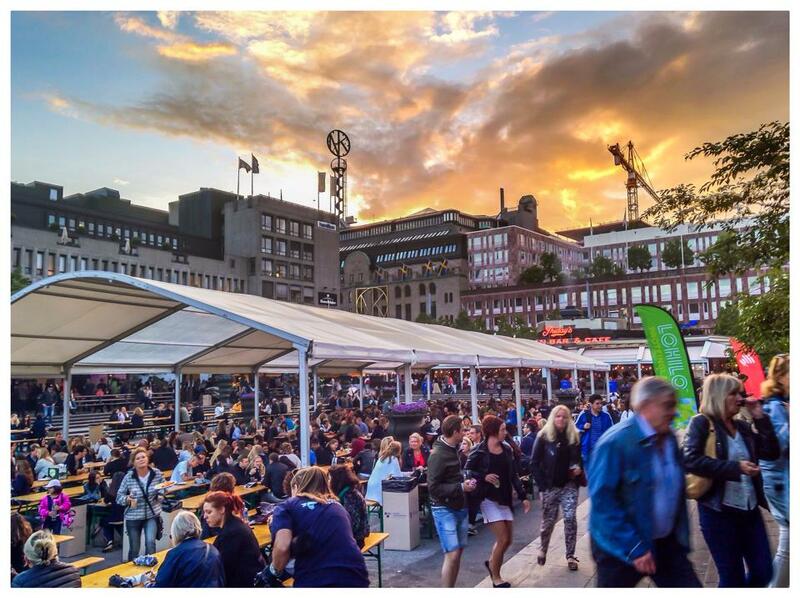 For three days around National Day on June 6th, Kungsträdgården, a park in the centre of the city, hosts a food festival in which many of the city restaurants offer tasters of their menu. There are no free samples, sadly, but each restaurant offers reduced price versions of their popular meals, so it’s a great way to try restaurants you might not visit otherwise. 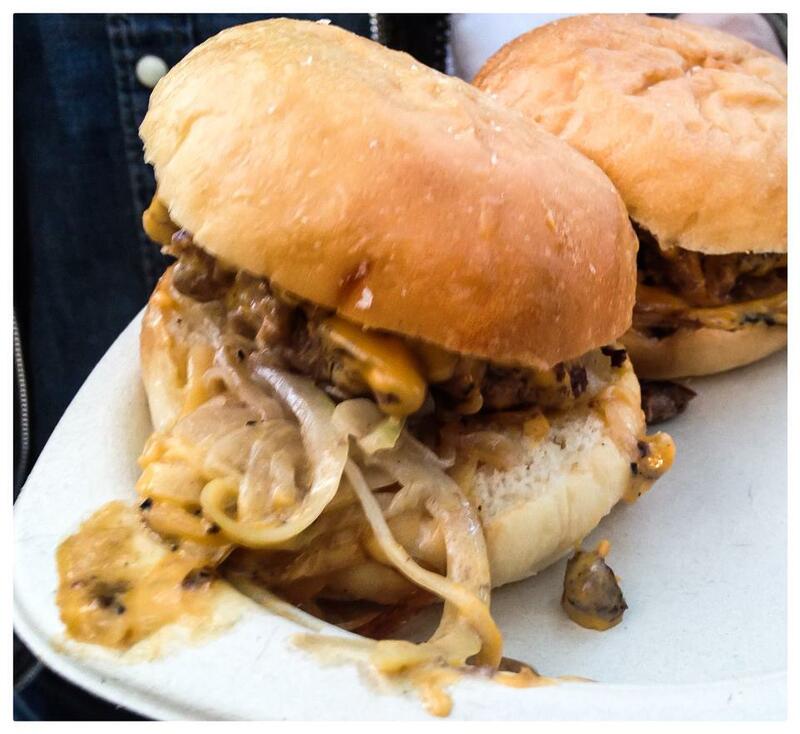 For me, it was a chance to sample the infamous Flippin Burger, a very popular hamburger restaurant that almost always entails an hour-long wait to get a seat. The queue here was by far the longest of all the restaurants, so it seems that others had the same idea! 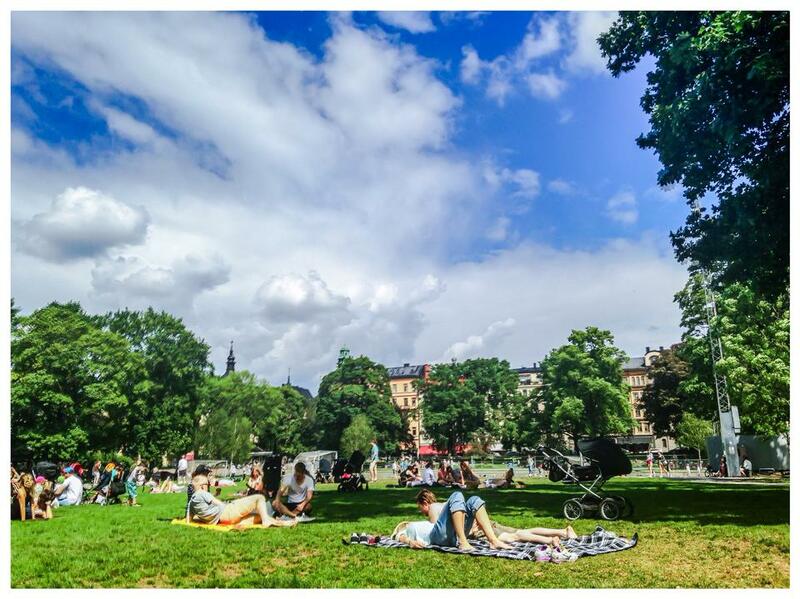 If you’re looking for something budget then you can do no better than enjoy fika in the park. Fika is a Swedish tradition of coffee and cake, and there are plenty of bakeries to pick up a delicious kanelbulle on your way to one of the many parks around the city. Take a blanket, a game of kubb or a frisbee and you can stay there all day. If you are super-organised, you could go to Systembolaget on the way and pick up some drinks for later, saving you the expense of a Stockholm bar. As always in Sweden, remember to clean up after yourself. Swedes enjoying fika in the park. A popular way to finish off a lazy summer day in Stockholm is to watch a band at Gröna Lund – a small theme park on the island of Djurgården. I had a great time watching favourite Swedish band Europe playing The Final Countdown a few years ago. This year’s line-up has included Arcade Fire, Pixies, Flogging Molly, Tom Jones, and ZZ Top. You’ll need to check the website for more details, and for the bigger names you must be there when the park opens to guarantee getting in. I hope that I have whetted your appetite for Stockholm. It really is a great place to spend the summer. Maybe I’ll see you there! Have you visited Stockholm in the summer? What would you add to the list? If you enjoyed this post then please consider sharing it on Facebook, Twitter, or by any other means. It only takes a second, but would mean a lot to me. Thanks! A friend of mine in Riga just got back from a weekend in Stockholm and couldn’t say enough good things. I can’t wait to experience it for myself! You should! The boat from Riga to Stockholm is great fun too! I would love to spend some time sun bathing on one of those boats. It’s a great way to spend a summer’s afternoon!